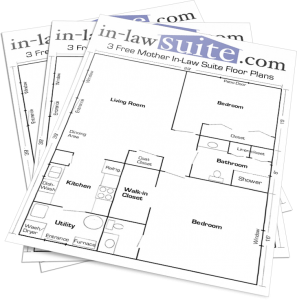 When purchasing a new home, many families consider houses that feature mother-in-law suites. 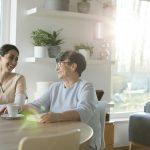 Mother-in-law suites, also known as secondary suites, are a growing trend in home construction, and have become a major selling point for homeowners in the United States. What Are Mother In law Suites? Mother-in-law suites are typically entry-level dwellings. Similar to a small or studio apartment, most suites include a bedroom, bathroom, living area and kitchenette. To accommodate the elderly, most secondary suites have safety features such as handrails, walk-in showers and are wheelchair-accessible. 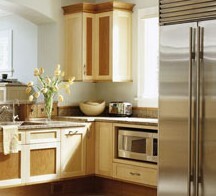 Many also offer amenities such as intercom systems, private telephone lines and security features. With baby boomers reaching retirement age, senior care is a growing concern in the Untied States. 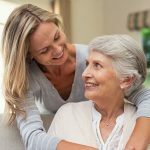 Many individuals with elderly parents are looking for options concerning the care of their parents. For these individuals, purchasing a home with a mother-in-law suite can be a solution to these concerns. Below are just a few of the many benefits of owning a home with a mother in law suite. 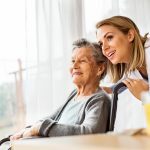 Nursing Home Alternative -For seniors in relatively good health, mother-in-law suites offer a great alternative to nursing homes or assisted living communities. Senior care can be a significant source of anxiety for family and loved ones. And while nursing homes may be the best option for some, many children of the elderly don’t feel comfortable entrusting their parents’ health, safety and well-being to strangers. By having elderly parents in their homes, children won’t have to worry about the quality of care their loved ones are receiving. Privacy – Mother-in-law suits are usually designed to give a fair amount of privacy to the person living there. This is beneficial to many senior citizens who may be reluctant to live with their children. With a mother-in-law suite, elderly parents won’t feel like they’ve become burdens to their family. Secondary suites allow the elderly to retain a good deal of independence, while having family close by provides safety and peace of mind to all parties involved. Having a parent living in a secondary suite in the home can also strengthen family bonds by having multiple generations under one roof. Planning For The Future – For individuals with parents who still live safely and comfortable on their own, buying a home with a secondary suite can be a great way to plan for the future. Although they may not need it at the time, having a secondary suite can bring peace of mind to children and parents alike. 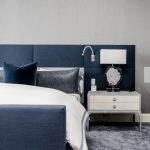 Rental properties – As mother-in-law suites can make ideal rental properties, purchasing a home with a secondary suite can be a great monetary investment. During difficult economic times, having the extra income of a rental property can be of great financial benefit. And since most secondary suites have private entrances, families won’t have to worry about having close, constant contact with tenants. Guest Quarters – Many families use mother-in-law suites for guest accommodations. 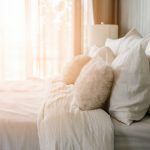 Although many people enjoy having house guests, cramped quarters and lack of privacy can be stressful on the entire household. Secondary suites provide a solution to these problems, and give guests a place where they can relax without feeling like they’re in the way. With private bathrooms and living areas, guests and hosts alike will enjoy the comforts of a secondary suite. Adult Children – Secondary suites also make great living quarters for adult children. For example, they can provide college-age children independence while still enjoying the comforts of home. Sending children away to college can cause parents a great amount of worry, and can also be difficult financially. Secondary suites provide parents with the peace of mind of having their children close by, and can also be significantly cheaper than student housing. Suites also supply students with a safe, quiet place to study, and can help older children become accustomed to living on their own. No matter their current needs, nearly all families can benefit from purchasing a home with a mother-in-law suite. Whether you plan on using it as a home for a loved one, a comfortable place for house guests or a rental property, secondary suites can provide comfort, peace of mind and better quality of life for the entire family. NextAlzheimer’s: I Love My Mom, but I Hate Her!